As a seafood lover, I can tell you that I don’t really care much for a cooked salmon. I like to eat my salmon raw. I’m surprised that my hubby actually feels the same way (another sashimi-maniac). I hardly cooked salmon (besides for Fiorina). 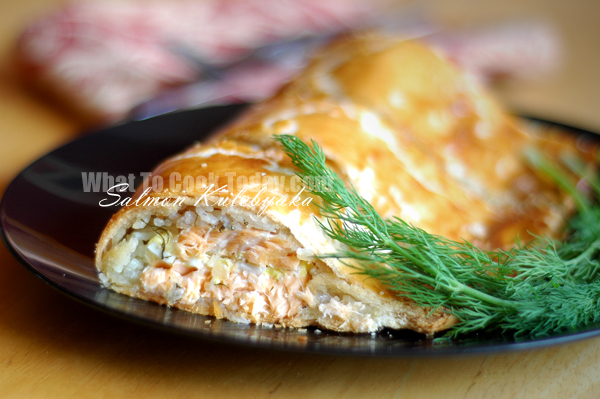 You can probably find just few salmon recipes here, including this one I’m posting. 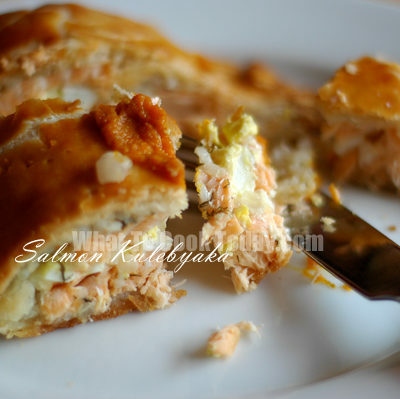 This recipe, salmon kulebyaka, which is a Russian festive dish, is an exception though. 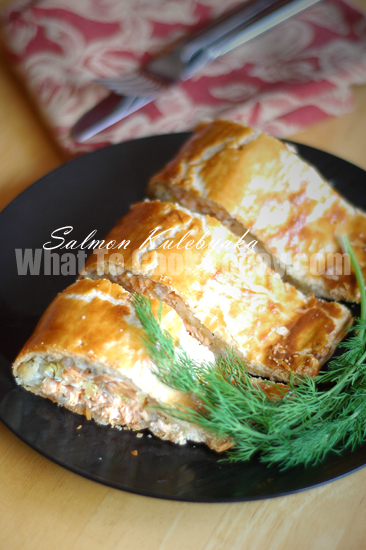 I challenged myself to make this recipe because I wanted to see how it turned out and how it tasted. Hubby took the first bite and told me that it’s a keeper. It really is. I like how it tasted. 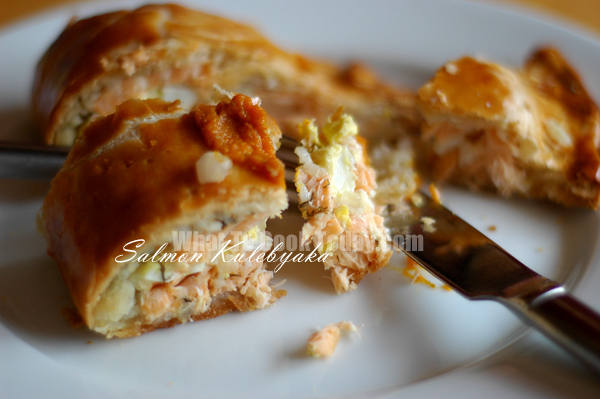 The butter, the salmon, the eggs, the dill-flavored rice all encased in a crisp puff pastry- that simply spells delicious. With this recipe, here I started our journey to the other part of Europe 😉 with Polish & Russian The Classic Cookbook by Lesley Chamberlain and Catherine Atkinson.